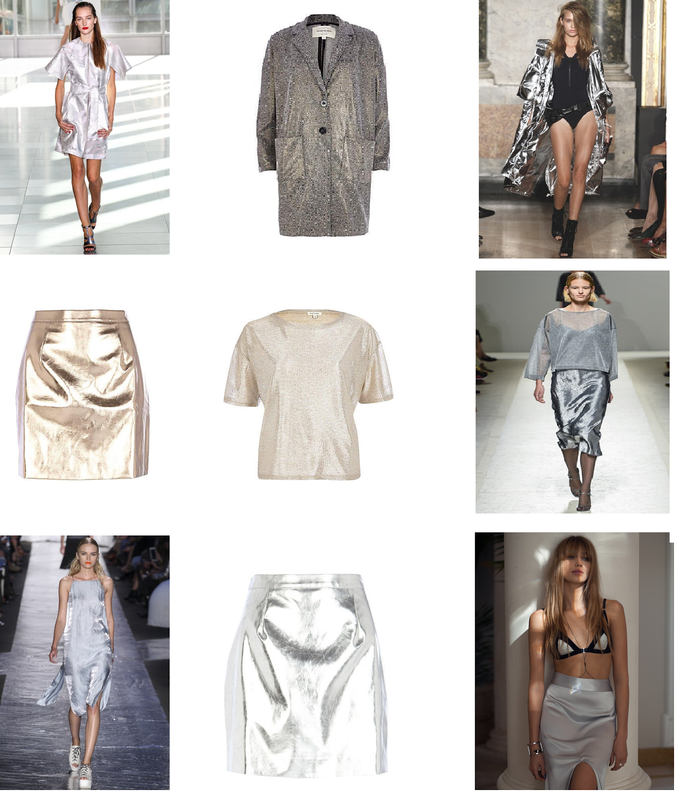 Having spotted metallic clothing among various high street stores (River Island in particular) it got me thinking that this would be a trend I would really like. It has a Christmas feel to it and seems the perfect touch to a winter wardrobe. Gold and silver are not exactly in the 'bright' colour zone so it happily fits into my style. Winner really. I have also been drawn to embellishment and checks are everywhere again. Yay for A/W dressing again. I adore metallic clothing! *-* great choices!